Hello guys,In today's post we will know about USBHarpoon so some security experts have created a malicious version of USB charging cable, As soon as it is plugged into a computer or laptop, computer can be hacked by pre key-stock and command. This is done by re-programing the USB Controller Chip in Harpoon that the computer thinks that a (HID)human interface device is connected. Such as keyboard, Mic, game controller etc. In such situation, the process of key-stock connected to the computer's command charging cable, by which it gets malicious code run, And the computer gets compromise from that USB cable, it gets connected. This process takes place in a few seconds and the biggest thing of USB harpoon is that it does not even detect Antivirus and Firewall. Earlier this work was done by the modified USB but now it has turned it into a USB cable and gave it the name USB harpoon. The hardware in this USB charging cable is designed in such a way that they can pass data and power together, In which the computer with malicious command is sent along with charging and it looks like cable normal USB cable. So it is difficult to identify in normal cable and USB harpoon. [Hacker VS Programmer] What Is The Difference Between Hacker And Programmer | Who Is Best ? How To Track The Location Of Chatting On Facebook And WhatsApp? And How To Trace Location Without Spy App? Behind USBHarpoon is the popular hacker Kevin Mitnick from Vincent Yiu and SYON Security from RFID Research Group. It can work on Bad USB cable Type C "and normal Usb, with it you can also use this cable for mobile with a laptop. As soon as this bad USB connects to victim's system, payload is installed in that computer. If you are connecting to this mobile from a mobile computer then that charge will also happen. If you do not charge mobile then the payload will be executed in the system. 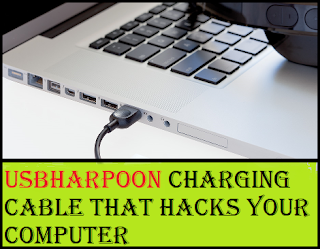 How to hack any computer from USBHarpoon? 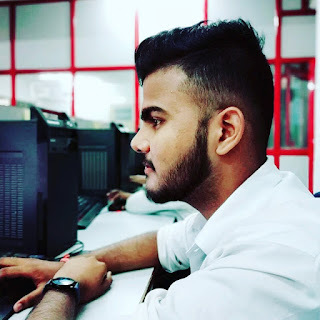 As we all know that if we have to hack a victim's computer then we would have to install a payload in his computer or run malware and after that we get access to computer to an extent, but in this process, it becomes difficult for us to install this payload in victim's computer. If victim's computer has antivirus, then that payload is not of any use as the antivirus removes this payload or by detecting malware. There will not be anything like this in USBHarpoon. On the other hand, if you want to hack any computer, you have to send malware to its computer, But in this USB cable, all ready is the payload that is not visible to the victim and the victim automatically understands this cable as normal cable when you connect to the computer and this payload gets installed in its computer and the thing with all of this payload is that it does not detect any anti virus and firewall. So Hacker can easily attack your computer. This cable does not come in India but in the coming days, it can be seen in Attack India also. You just did not become a victim of this attack, so no buy made in chaina from the market made of chagrin's cable "should buy a branded company's own usb cable.